Momma Told Me: To truly understand a culture, you must first understand it's flavor. When I was a little girl my parents ensured that I was surrounded by many cultures. My father's parents are French and Portuguese, while Momma's parents immigrated from Germany just before she was born. Then there were our neighbors, growing up, Filipino across the street, Chinese and Iranian on either side. It seemed every other weekend there was a large family gathering at one home or another, and curious dishes were being brought to our door for sampling. While I never developed Momma's taste for Liverwurst Pate, I did take quite quickly to Marzipan and other German fare, which molded me into the culinary curious adult I am today. I can't very well hop a plane and jet set to different countries, taking weeks out of the year to sample new foods and cultures. I wish it was that simple, but passports and, well, money, keeps this daydreamer firmly planted in the U.S. From time to time, one of my blogger friends, abroad, will be writing about the latest local delicacy and I'll fork over the International shipping to try it out, but I'm limited to that. And, let's face it, shipping rates can be phenomenal when coming from outside the country, and International delicacies within the states raise sticker prices to accommodate for this. Yes, sometimes I simply wish I could sample the world without the hassle and cost. 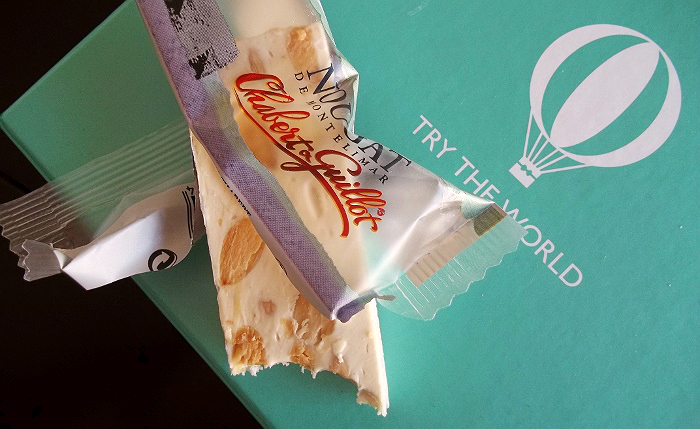 Thankfully I recently discovered a truly unique monthly subscription service, Try The World, which specially curates a gourmet box of International proportions, to your door, every other month. This is not your ordinary 'of the month' service, the curators work tirelessly to hand craft the finest edible selections from several exotic regions. Currently featuring France, Tokyo, and Brazil, Try The World's program will offset you about $45, a bit steeper than your run of the mill foodie subscription service. But don't let the sticker price keep your taste-buds from trekking round the world in 60 days. Keep in mind most subscription services bill $20-$25 every month for a collection of common food items. Try The World features 100% gourmet, imported goods from around the world, and bills every other month. The company was recently kind enough to offer me a complimentary box featuring the region of my choosing. While I gravitated mainly towards Tokyo, I was most unfamiliar with the fine foods of France, and intrigued to experience my own heritage a little closer. 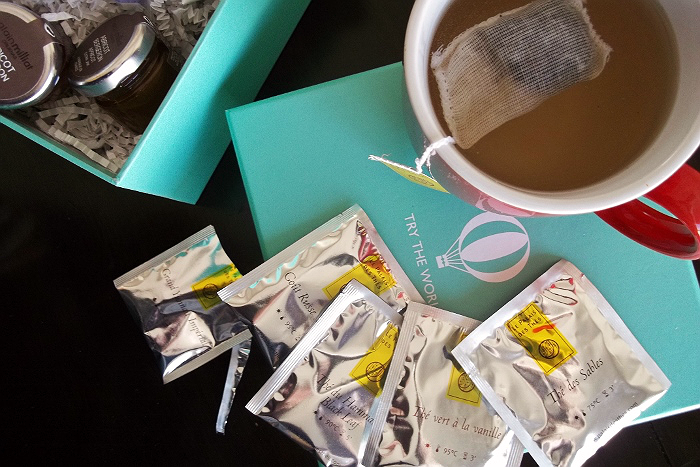 When My Try the World box arrived I was blown away by the substantial packaging, that truly felt as though I'd received an International gift from a beloved penpal. 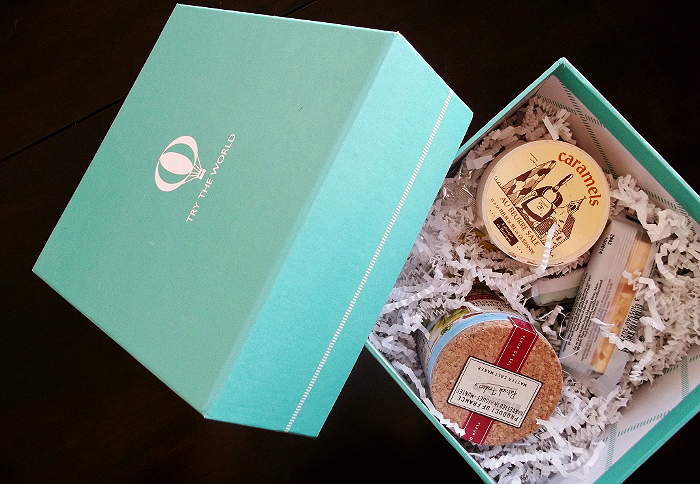 This Teal box of wonder would make a formidable gift for any travel, or foodie, enthusiast; it was chocked full of fine confections, foods, and ingredients. 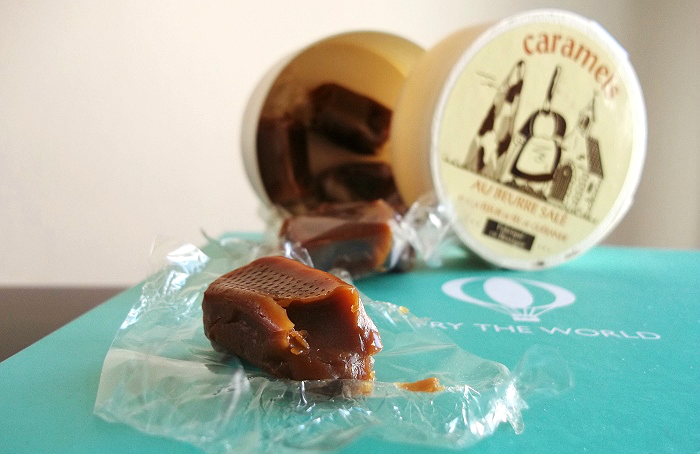 Naturally, I was first drawn to the Au Buerre Sale handmade salted caramels. They certainly did not disappoint, and were far from any candy shop confection I'd experienced state-side. The rich creamy texture was met with a citric salty undertone that almost made them more savory than sweet! 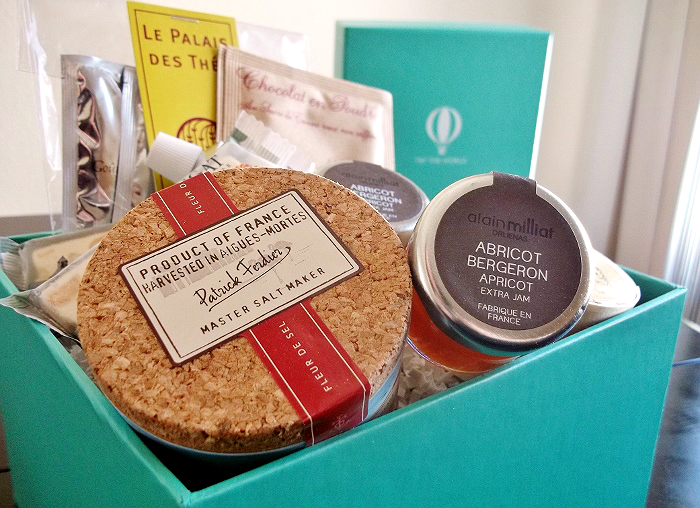 My Try The World France Box had everything I needed to indulge in a lazy Parisian afternoon, complete with Chabert + Guillot Nougat, Le Paris Tea Satchels in assorted flavors, and Apricot Bergeron (Jam). Naturally I didn't devour the entire box in one day, in fact, it has taken me the better part of a month to properly put a dent in all of the fine condiments included inside. 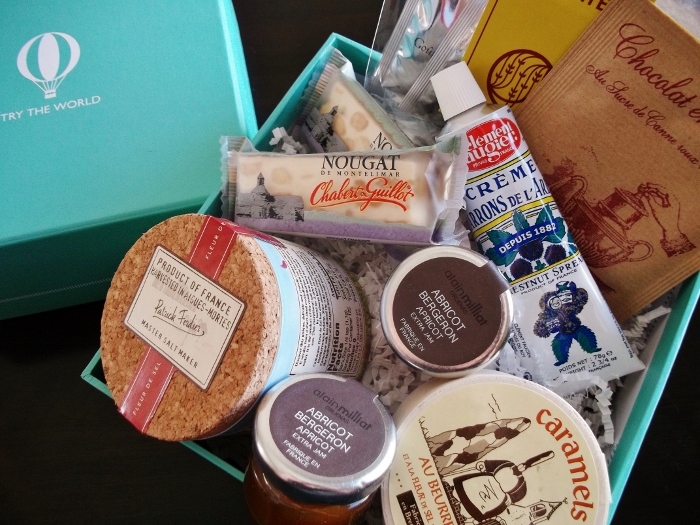 I do, however, think the most unexpected surprise of this box was the Chestnut Spread I have since enjoyed so much when accompanied by the jam. I only wish there was a little memento of my culinary travels, a keepsake of sorts, to commemorate my journey. What country would you like to most experience in a mini culinary adventure? What Daughter Says: One of my strongest senses used to escape is that of my taste. Try The World has only begun to stamp my culinary passport! One Momma Told Me reader will win a Try The World box of their choosing! I would love to see them explore Armenia. I think Egypt would be interesting. I'd like to see one about Greece! I would like them to explore Denmark. What a fun idea! I love trying new things and this would be a great way to go on a virtual vacation! I'd like to see an Ireland box, as I'm still in St Patrick's day mode. I would love to go to England, so I would say England would be great for Try the World to explore. I would love to see a box from Spain. They have great food.